Each year thousands of dogs end up in pounds and shelters. Many are euthanased. This is often the result of a lack of proper socialisation and training. We recommend that all dog owners and their canine friends undergo a specialised education program – the results speak for themselves. Well-socialised and educated dogs are easier to take for walks, more obedient, create less stress and they generally enhance your family’s way of life. Puppy preschool is an essential first step to developing a friendly pet and it is a great idea for every new puppy. We offer 4 week courses throughout the year consisting of 1 hour lessons each week for puppies aged 8-16 weeks. Puppy preschool at AVP provides a clean indoors, safe and supervised environment for your puppy to interact with other puppies and develop crucial socialisation skills. The course incorporates lessons such as basic commands and obedience, controlled play, health care and basic first aid, as well as the essential socialisation with other dogs and people. This time can also serve to familiarise your puppy with our vet clinic, making their future visits for their annual check-ups a happy encounter. The basic obedience learnt during these classes can also serve as a stepping stone towards more advanced obedience training. Following a course of Puppy Preschool, we recommend Juvenile Puppy Classes and Basic Obedience Classes. Group classes are kept to a small number of participants so that each client is ensured individual quality attention. Three and five week structured classes are offered where all participants start and progress together. Juvenile Puppy Classes (for puppies from 16 weeks to 6 months) are designed to target the individual puppy and owner’s needs, focusing on the pup’s temperament and behaviour. These classes are based on the early development of desirable traits and obedience, while providing ongoing exposure to new dogs and people. Following the Juvenile Puppy Classes, the Basic Obedience Classes cover topics and/or commands such as teaching the dog to target, heel, walk on lead without pulling, sit, stay, down, down-stay, return to heel, column work and control exercises for sociability. 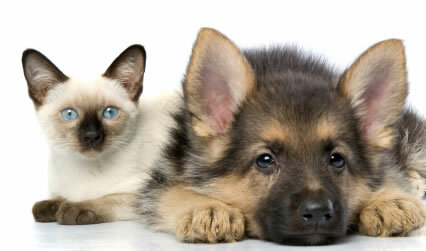 Puppy Preschool and Dog Obedience Classes are conveniently held onsite at Anstead Veterinary Practice. With a safe, fully fenced and well-lit area for your dog’s obedience classes and ample client parking, all classes are fun and hassle-free. For more information, please phone us.